Name a file .scss, and Harp will serve it as .css—there’s no setup necessary. This also makes Harp a great way to work with SCSS libraries like Foundation 5 and Bourbon. This all happens incredibly fast as Harp is using libsass, the C++ implementation of Sass. You can leave off sudo if you are using Windows. 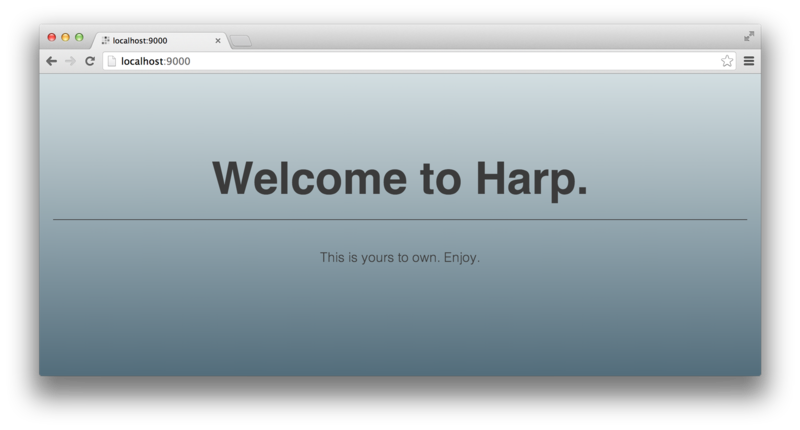 Now that you’ve using Harp v0.11.0, the fun with Sass and Foundation starts. Harp has already served the SCSS file as a compiled stylesheet. Make a change to main.scss, refresh, and the updates are already live. There’s no need to set input or output locations, and you never have the compiled, minified main.css file mixed in with your source files. This makes using CSS frameworks with Harp especially appealing. Harp makes Working with the Foundation 5’s SCSS easy. If you have used Harp with Bootstrap, then you know how powerful this is. You can use Component to install Foundation into a new Harp app. We’ll be writing more about Component in the future, but for now, follow these instructions and you’ll be set. Your project is now using Foundation—best of all, it’s using the source files. Just by changing a couple of variables or using some of Foundation’s mixins in main.scss, you can quickly make your project your own. Harp works perfectly with Bourbon and its grid framework, Neat. They can be installed similarly to Foundation, after installing Component and upgrading Harp. There were other important fixes and contributions from the community in this version of Harp. Thanks everyone! The C++ implementation of Sass, libsass, was chosen over the Ruby version, to give Harp it’s SCSS preprocessing ability. This means your .scss files will turned into CSS incredibly quickly. Libsass is not feature complete against Ruby Sass, but (as we’ve covered) many popular libraries are still supported. The most glaring missing feature, @extends support, is actively being worked on by the lead libsass developer and will be added to Harp once that work is complete. Now that you’ve started your project with Foundation or Bourbon, you will need to get it online. 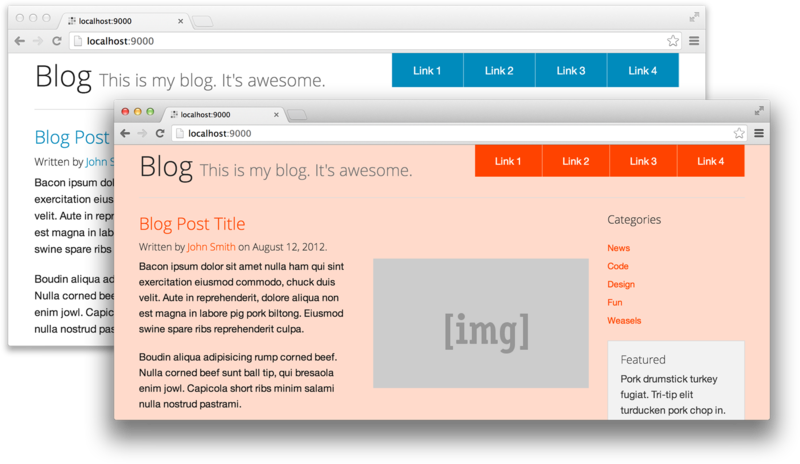 Harp also helps power the Harp Platform, a front-end publishing platform integrated with Dropbox. It’s the fastest way to deploy your new Foundation or Bourbon project—you’ll never need to flatten your SCSS source files. Sass support opens up many new possibilities with Harp. We will be looking closer at libsass, Foundation, Bourbon, and more, all in future posts. Subscribe to Harp Weekly, or follow @HarpWebServer on Twitter to be notified.